By Sia in Internet. Updated on May 1, 2017 . Some of you may remember Microsoft’s Academic Search, a research project and academic search engine that was discontinued in 2012. 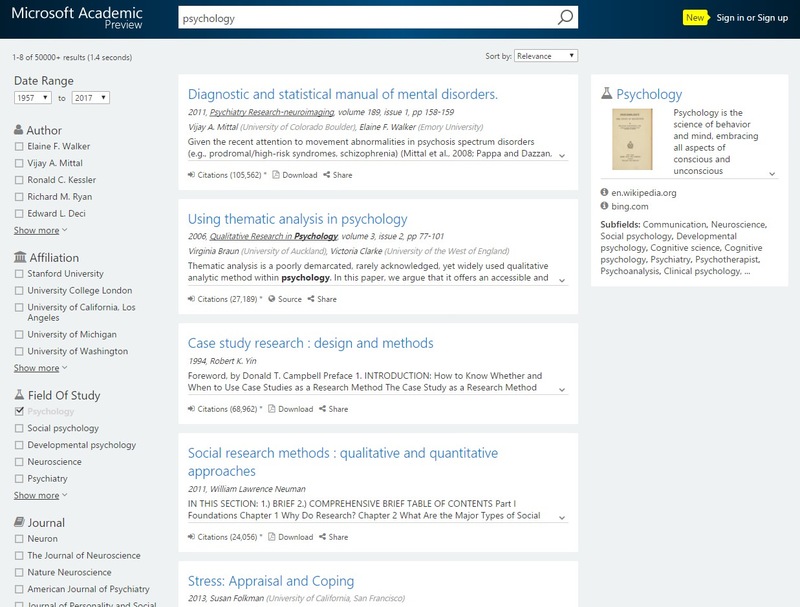 However, in March 2016, Microsoft brought back an updated version of the Academic Search system as a Bing-powered service. 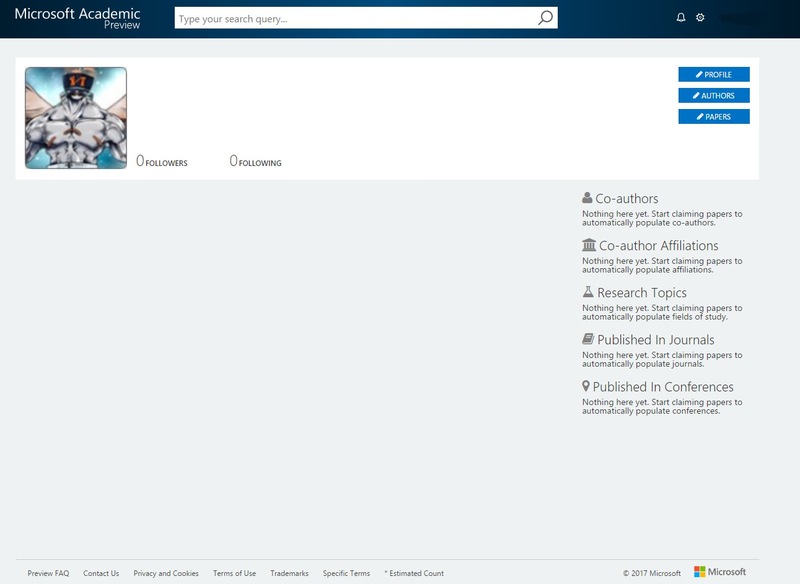 Fast forward to April 2017, it appears that Microsoft has big plans for this academia-centric search engine as the company has launched Microsoft Academic 2.0 in preview form, allowing everyone to have a taste of what the system may offer when the full version is made available. 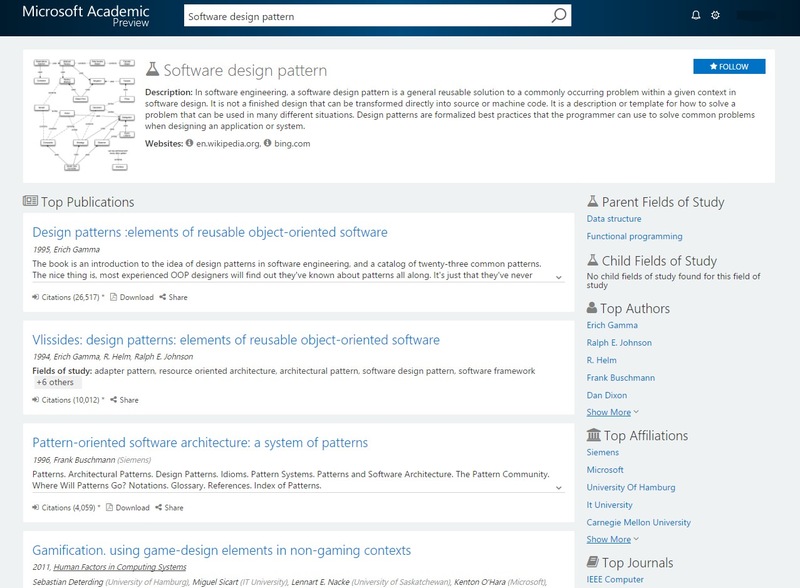 At the core of Microsoft Academic 2.0 sits the updated version of the Academic Search system. As the name implies, this system is a search engine that is tailored to look for academia-related content. The content that can be found via this search engine includes academic journals, thesis and conferences. While the search engine itself will assist you in pulling up publications that are related to your field of interest, the Academic Search system can accommodate a wide variety of parameters. For example, you could use the search engine to search for authors or even educational institutions. Also, depending on the topic that you’ve searched for, the results that return could include works that were first published in the 18th century or older. So what else does Microsoft Academic 2.0 apart from the Academic Search system? For starters, Microsoft Academic 2.0 functions more like a full-fledged educational ecosystem. Unlike Academic Search, which is purely a search engine, Microsoft Academic 2.0 has some features that appear to be inspired from social networking services. For starters, Microsoft has implemented a Follow button on all of the topics that can be found on the search engine. This feature will prove to be useful for those who wish to be updated on a specific topic, author or organization on a regular basis, allowing them to gain access to the latest materials without needing to search for it. The updated contents will be made available on the user’s dashboard for easy access. As for those who have published journals or theses online, Microsoft has also provided tools that would allow a user or organization to claim a paper, journal, conference or even an author as their own. In its current form, Microsoft Academic 2.0 is still very much a work in progress. While the search engine part of the Academic 2.0 runs pretty smoothly, the user experience part of the system is still very much barebones and may not function properly at times. While it is way too early to tell if Academic 2.0 will manage to be the research hub that Microsoft envisions it to be, there is no denying that Academic 2.0 could potentially be useful for those who are involved in academia.